Bitcoin has inspired debate over the value and future of cryptocurrencies. The first decentralized digital currency has raised questions about unintended impacts – from financial industry disruption to the amount of energy consumption required for the computation. REMI Economist Peter Evangelakis, Ph.D. will be offering a webinar presentation on Tuesday, February 27th or Thursday, March 1st, 2018 from 2 to 3 p.m. EST to discuss the potential effects to financial services productivity, energy prices, and other economic activity as a result of Bitcoin’s popularity. 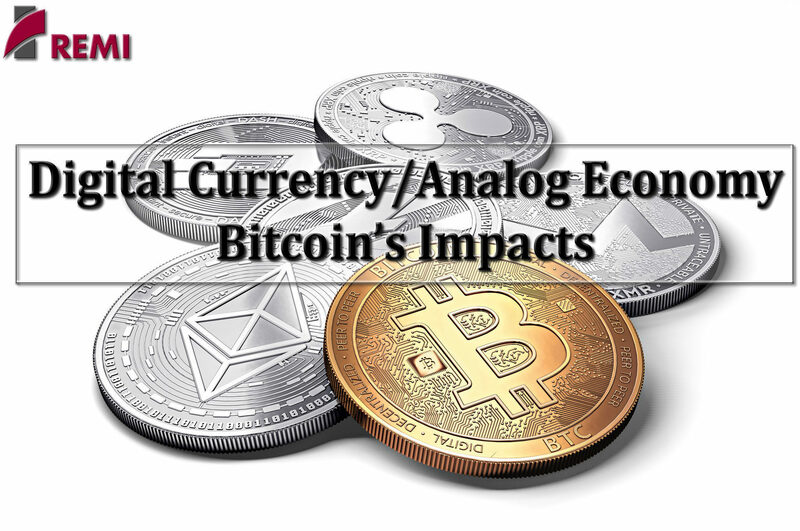 For this presentation, Dr. Evangelakis will review the various questions surrounding Bitcoin. For example, if the currency was a country, it would rank 56th in energy consumption after Peru, according to the estimates of Digiconomist, a blog dedicated to cryptocurrencies. The demand on energy has real-world implications. So do the ways that traditional financial institutions may react to the rise of cryptocurrencies. These impacts could influence prices, productivity, employment, and output over time.